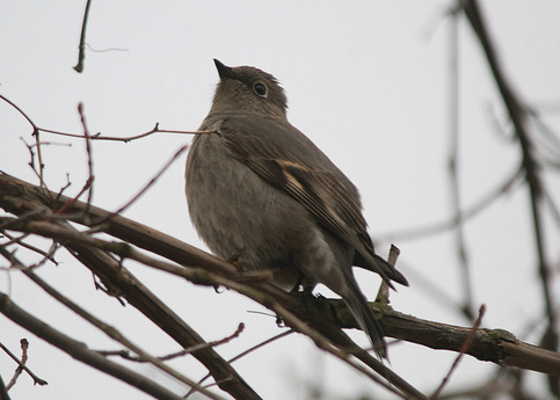 More photos of this bird can be found on Dustin Welch’s website. The first two photos were taken on April 13th. 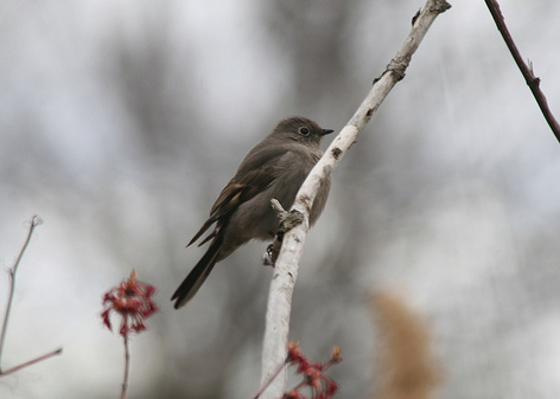 Townsend’s Solitaire — near Palmerton, Carbon County, April 13-15, 2008. Photos by Dustin Welch. This photo was taken on April 15th. 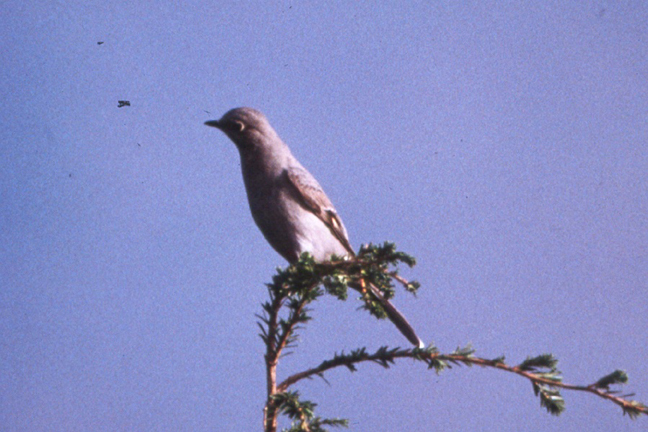 The committee felt that the bird was identifiable from the shape and posture of the bird in the photo but the description provided by Mark helped in the assessment of the record. This is a case where the addition of field notes was very helpful for the committee. 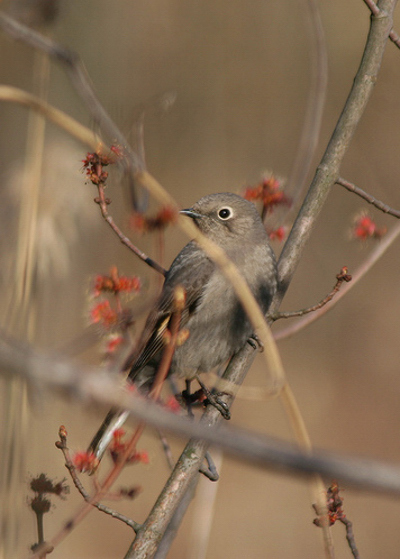 Townsend’s Solitaire — Fairview Township, Erie County, January 9, 2007. Photo by Geoff Malosh. 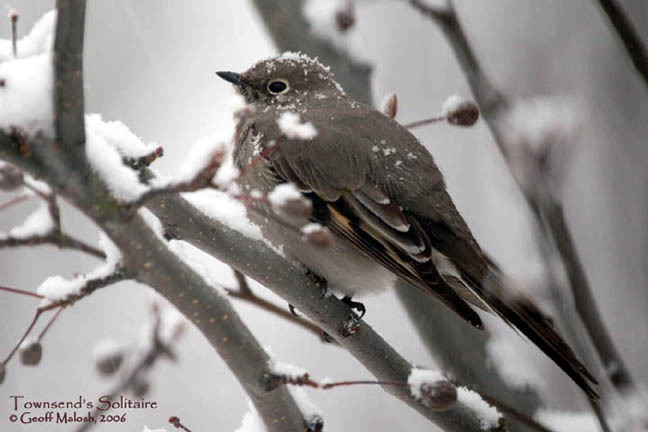 Another photo of this bird can be found on Geoff Malosh’s website. 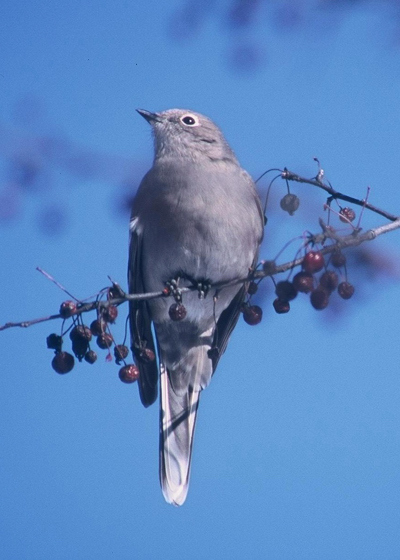 Townsend’s Solitaire — near Betula, McKean County, January 15, 2005. Photos by John Fedak. 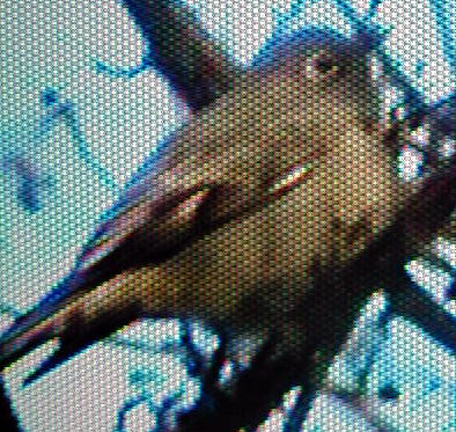 These two images were taken of video on a television screen, hence their ‘screened’ appearance. 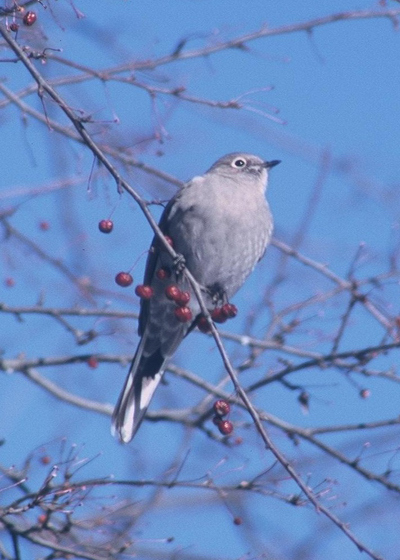 Townsend’s Solitaire — near Betula, McKean County, January 27, 2005. Photos by Michael Fialkovich. 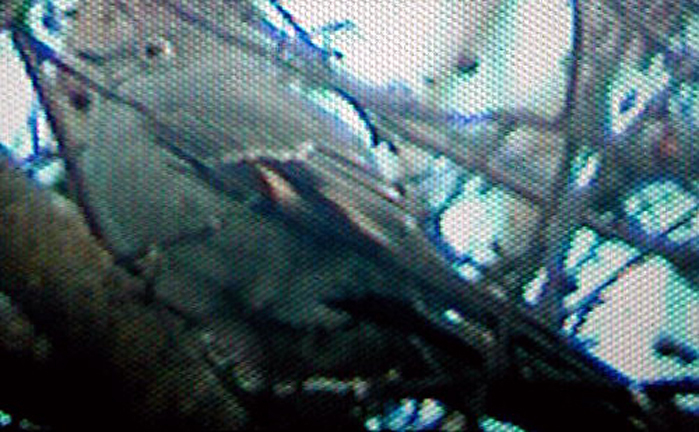 Here are three more images of the same bird that John Fedak found on January 15th. 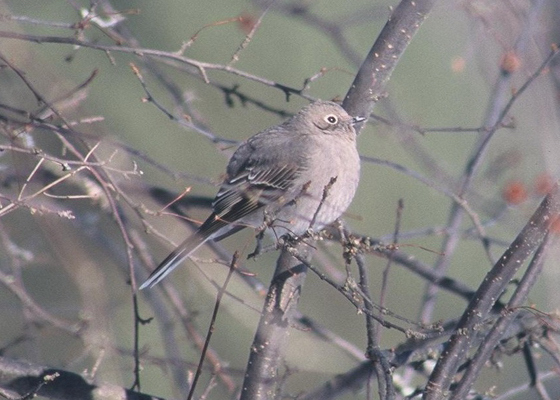 Townsend’s Solitaire — Hawk Mountain Sanctuary, Berks/Schuylkill Counties; November 13, 1999. Photo by Bill Wallace.